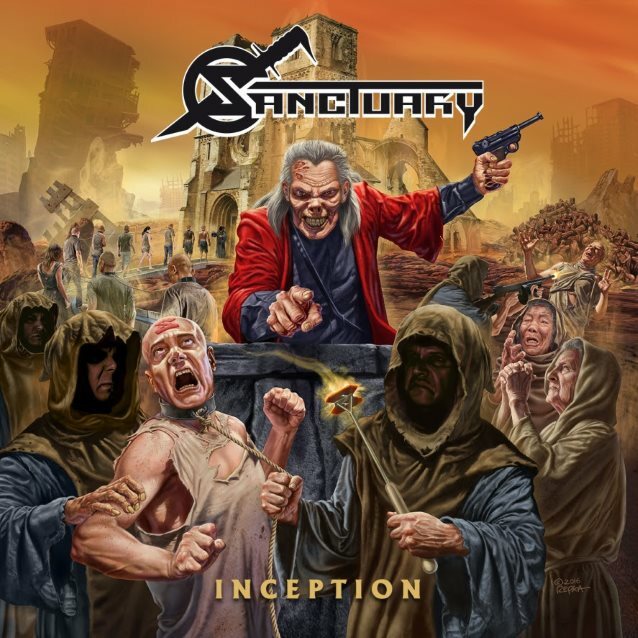 Century Media Records has set February 24, 2017 as the release date of "Inception", the official prequel to 1988's classic debut "Refuge Denied" from the legendary U.S. metal act SANCTUARY. "Inception" contains presumed lost 1986 studio recordings, which guitarist Lenny Rutledge discovered recently and which were magically restored, remixed and remastered by Chris "Zeuss" Harris (QUEENSRŸCHE, HATEBREED). Watch a first trailer for this release below. Guitarist Lenny Rutledge comments: "I found the masters in my barn. The second floor of the barn is on top of our current recording studio and is very rough and open to the elements. The ground level is where we recorded the bulk of 'The Year The Sun Died'. We found the masters in an unknown box in the barn, full of water and just wasting away." Zeuss explains further how the "Inception" album was realized: "I got a call one day and Lenny said that he had discovered these tapes and had them transferred to digital. I was in the area and stopped over to check it out. The recordings were still in decent shape. "We agreed that we wanted it to sound as good as possible without taking away from the original vibe and vision of what the band had back then. 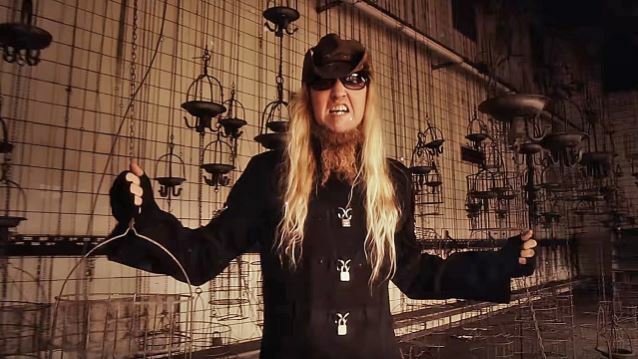 "After a year of mixing on and off, we were able to resurrect these original demos. "I hope everyone enjoys these recordings as much as I did working on them, especially being a huge fan myself." Recorded in March of 1986 ("Soldiers Of Steel", "Battle Angels") at Triad Studios in Redmond, Washington and Studio One in White Center between April and July 1986, "Inception" offers such previously unreleased highlights as "Dream of The Incubus" and "I Am Insane" as well as several classic "Refuge Denied" songs that are burning with fervor and intensity. Apart from being expanded by art courtesy of Ed Repka, "Inception" is filled to the brim with tons of rare photos, flyers, early art designs, sketches plus detailed liner notes allowing you to delve deep into SANCTUARY's history. "Inception" will be released as gatefold LP on 180-gram black and limited colored vinyl, including an extensive LP-size booklet, poster, and the album on CD as additional extra. Apart from that, it will be available as a special-edition CD digipak and digital album. Lenny concludes: "For me personally, I just wanted fans to be able to hear proper versions of the demos. They had a certain energy that was captured during the early days, maybe even more so than 'Refuge Denied'. "It's no secret that you can find these on the Internet, but the quality is horrible. "I think most people are under the impression that these are remastered or re-recorded versions of 'Refuge…', but this is all a prequel!" With several festivals already booked for next year, a new album in the works, "Inception" being released, 2017 shall be the year when past and future of SANCTUARY unite. Look forward to the next assault of the soldiers of steel!